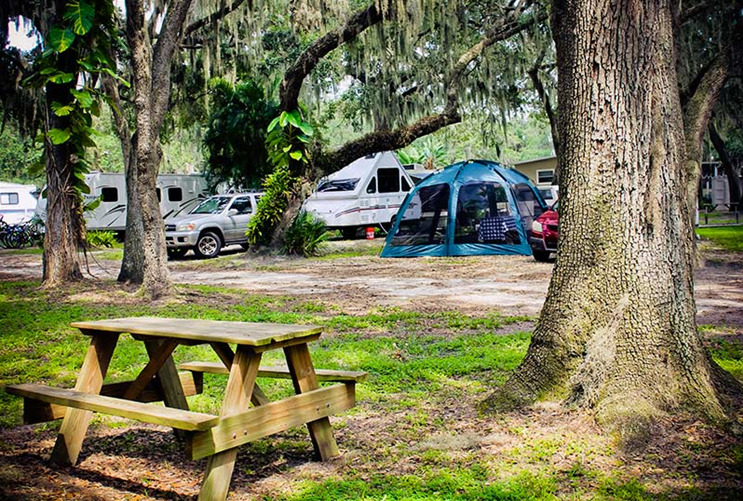 Welcome to Frog Creek RV Resort and Campground, a tranquil wonderland of natural beauty where nearly all campsites lay under a canopy of majestic live oaks. 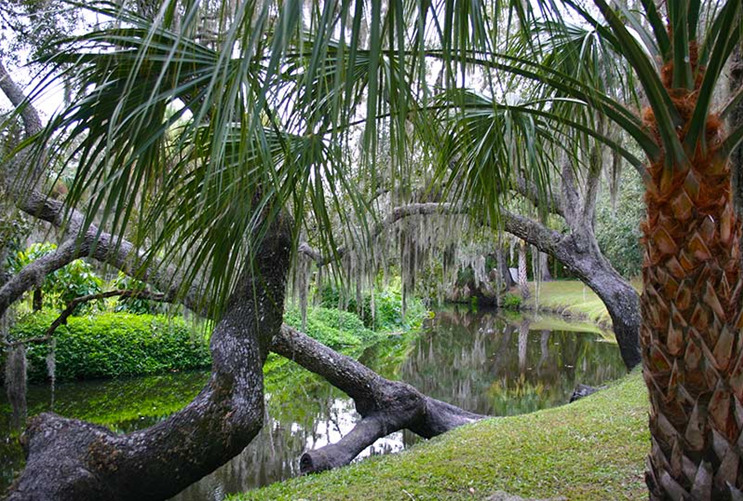 Spanish moss hangs from graceful branches as picturesque Frog Creek meanders by. The setting is truly beautiful, rustic and restful. Discover tranquility, cleanliness and affordability on your Florida vacation. 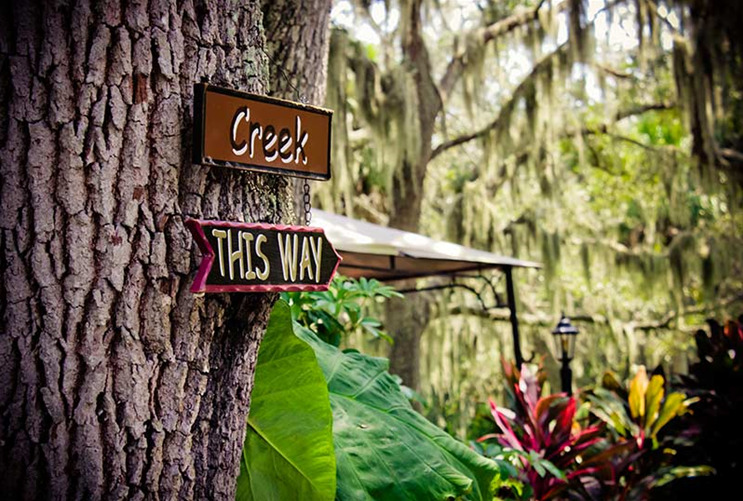 Enjoy the nearness to Gulf beaches, fishing and all of Central Florida's attractions. Conveniently located between St. Pete and Sarasota. Baseball Training nearby. Amenities include a heated pool, Wi-Fi, seasonal continental breakfast served, winter activities, W/S/E hookups, 30/50 amp service, kayak and canoe rentals, shuffleboard, horseshoes, cement patios and picnic tables. Cable available through provider. "Come have fun and join our family." 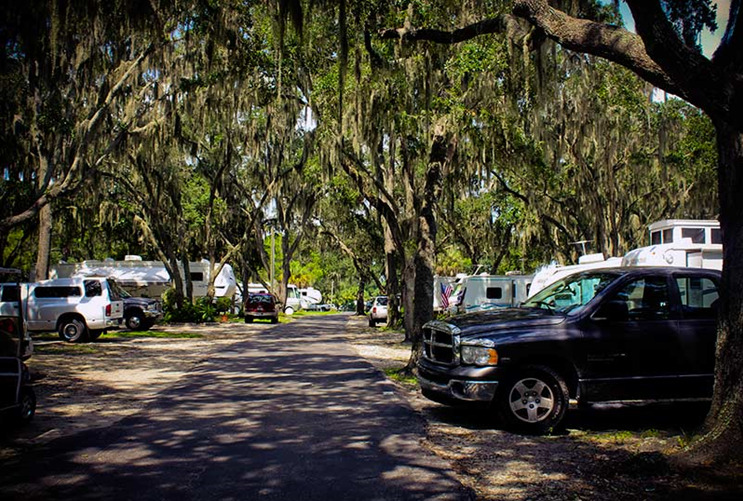 Hawaiian Isles RV Resort is located in the beautiful land of sunshine in the center of Florida’s “Sun Coast”. The sunny Gulf beaches and Tampa’s football stadium are just minutes away. 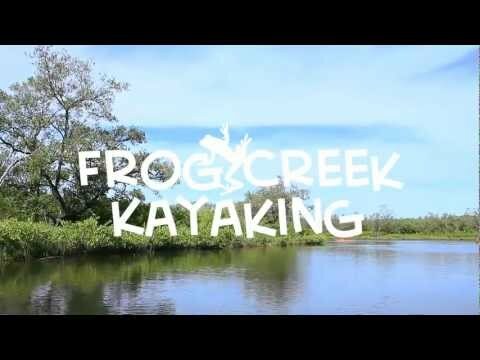 Our waterfront inlets provide kayaking and fishing opportunities. 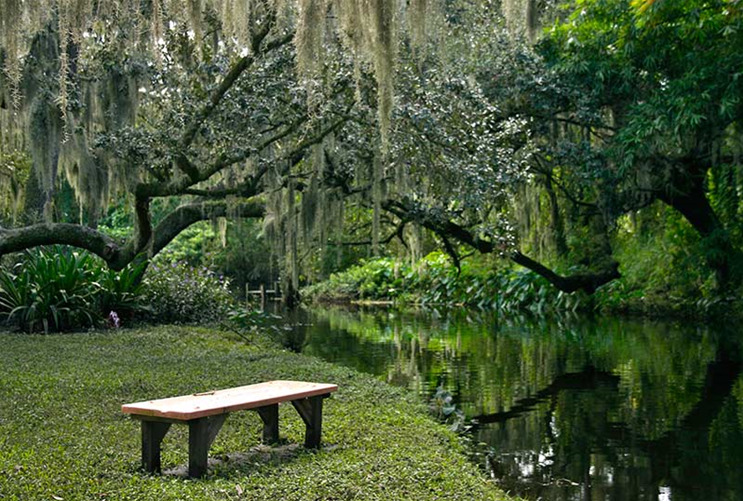 You’ll enjoy our clean air, good earth, gentle waters and abundant wildlife. 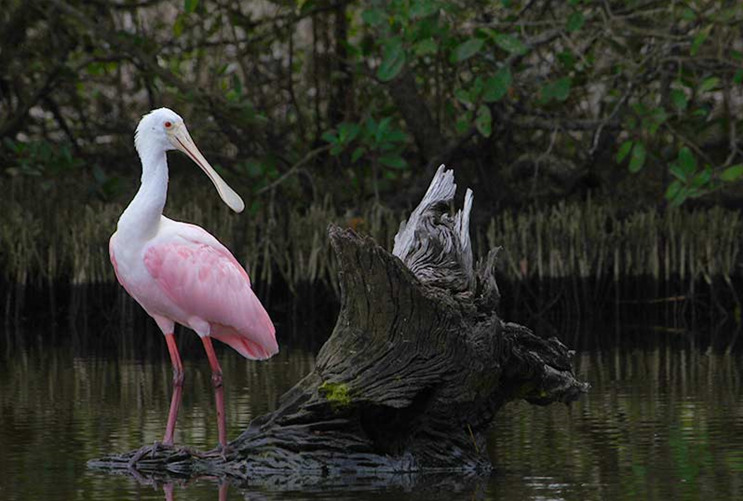 Our resort adjoins one of Florida’s largest bird sanctuaries. 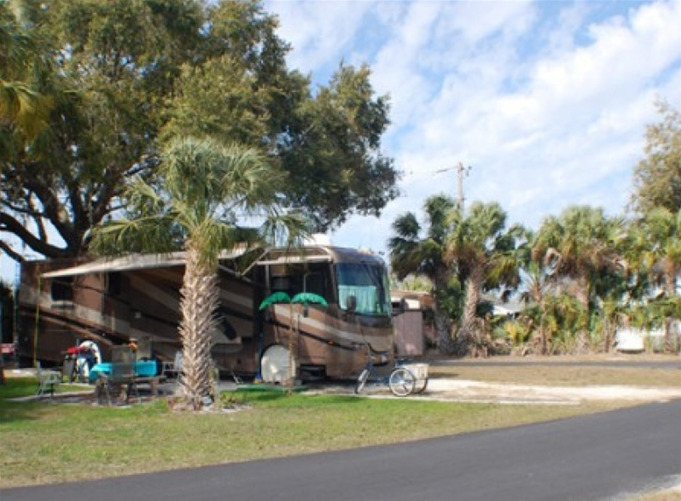 Located on Little Manatee River with access to fresh and saltwater fishing. Enjoy our shady and sunny lots, docks, fishing pier, heated pool, showers, A/C rec hall and activities in-season. We also offer 24-hour access, USPS mailboxes for seasonal residents and Wi-Fi. Small leashed pets welcome. Near beaches, shops and hospital. Located conveniently between Tampa and Sarasota.